The Snowdon range has 11 peaks over 600m in height, of which 3 are over 914m (3000 ft). These include Snowdon, the highest mountain in England and Wales. There are access points to the range from Llanberis on the A4086, Pen y Pass at the top of the Pass, and all the way round to beyond Beddgelert on the A4085. There is an hourly bus service from Bangor to Llanberis, and in Summer months a regular "Snowdon Sherpa" goes around the mountain meaning that you do not need to start and end at the same place. There is also a service from Caernarfon to Beddgelert. The range is very varied from the easy Llanberis path, to the rolling hills of Moel Eilio and the challenging route of the Snowdon Horseshoe. Navigation is not too difficult (the main paths up Snowdon are well marked), although normal precautions should be taken. Crib Goch should not be attempted in poor conditions. It is a serious climb in winter, and is dangerous in strong winds. The selection of routes below will cover all of the summits on the Snowdon Range. 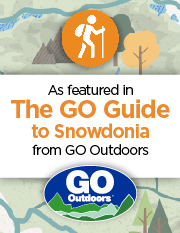 The aim is to cover all the paths on Snowdon within a few routes so that you can pick and mix to make up your own route. This means that some of the routes will be long, however the variations are indicated under the descriptions. Each route description includes a rough idea of time, a description of the route and its difficulty. There are also photos taken on the walks.